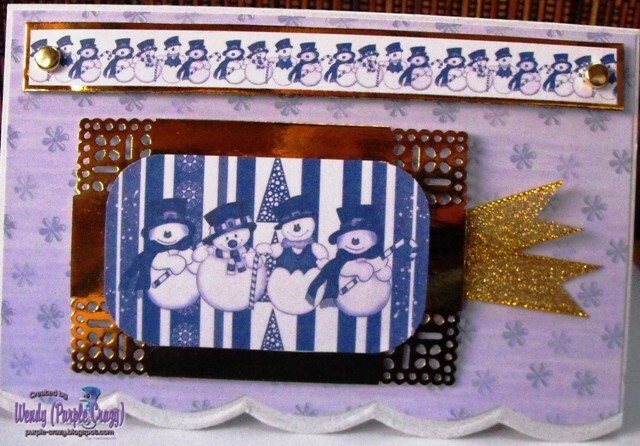 It's a non Traditional Christmas Colour day to day over at My Time To Craft. 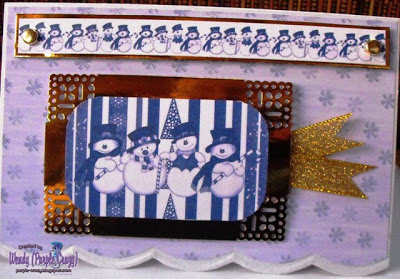 so I thought I would do this snowman one in Purple, it's just a quick and easy one, the cheery little snowman image and papers are from Debbi Moore and the corners on the gold mirri are made with an MS punch. A lovely card Wendy. I love the snowmen! Really sweet card hun, love the colour combo!